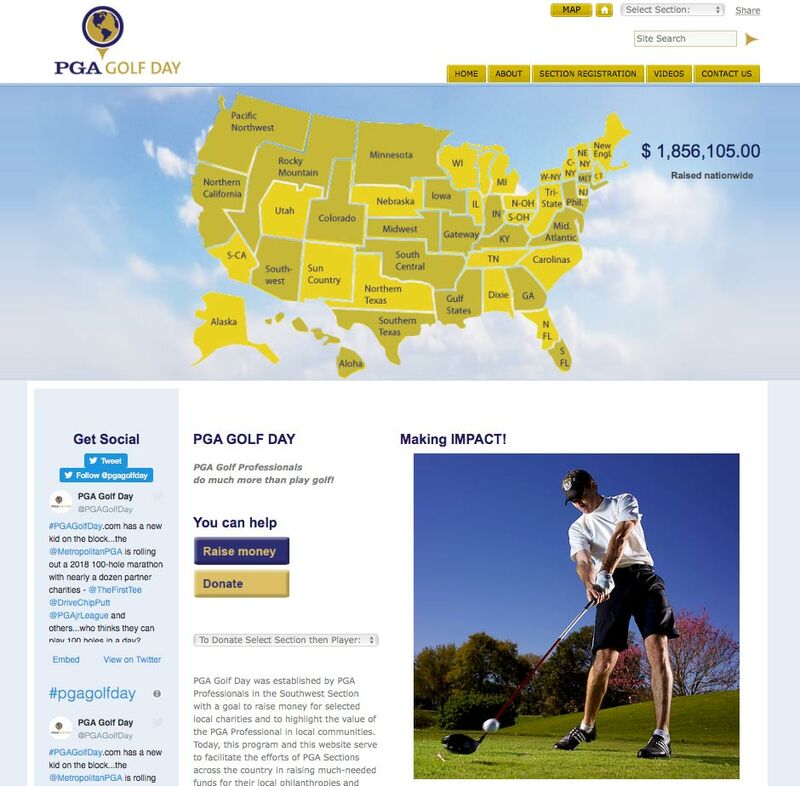 PGA Golf Day is a National program conducted by over 20 Sections of The PGA of America. Golf Professionals generally play 100 holes of golf in a day, raising money for charity. The Southwest Section of the PGA came to us back in 2009 with a plan. They were hoping to raise local money for the Special Olympics Arizona State Golf Tournament. Their concept was to recruit PGA Professionals to play 100 holes of golf in a single day. Players would solicit contributions for their efforts. The challenge was that the old ways of collecting pledges, and chasing cash and checks was far too cumbersome. The logistics were making it difficult for participants, donors and for administrators alike. They needed to leverage technology in a way that would not only help them showcase their efforts in the community, but also to help them scale their energy. Far too much time was being spent on small details they felt could be automated. Web Design Phoenix created PGAGolfDay.com. In the summer of 2010, just 30 golf pros raised over $180,000 for the Special Olympics program in Phoenix. Word of their success spread quickly around the country. 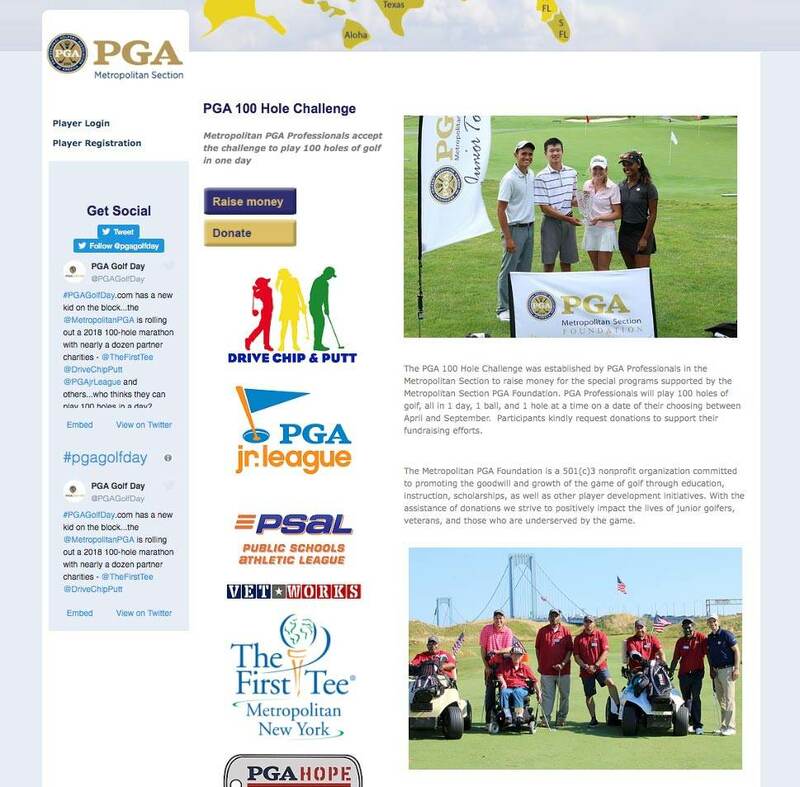 To date, we’ve developed over 20 websites for the PGA of America, raising well over $2,000,000 for their respective local charities. The concept of the website itself is to automate the fundraising process and to expand the collective reach of a Section’s fundraising efforts. By engaging as many participants as possible, fundraising results are growing exponentially with unlimited scalability. Most Sections conduct a 100 hole golf marathon, although this is not mandatory for participation. Players register themselves online and formulate their own personal web pages, then send emails or do what they can to direct supporters to their pages and make contributions. Donation receipts and custom Thank You letters are sent to supporters automatically.